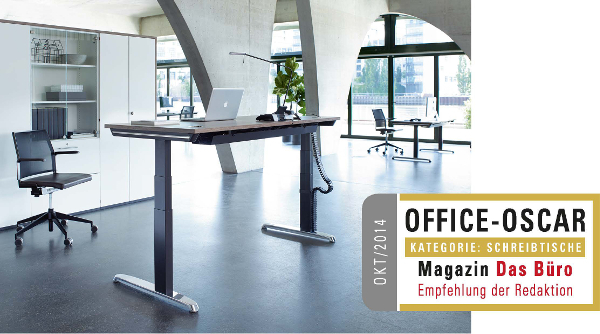 The magazine „Das Büro“ issued by the Frank Nehring publishing house rewarded us their Office Oscars in the category of sit-to-stand desks. The winner was our Thales sit-to-stand “Profi”, a desk with an elegant C-foot, a smart design and especially a high energy efficiency and a strong weight carrying efficiency. We want to thank the “Das Büro” magazine for having chosen us as their this year´s winner.